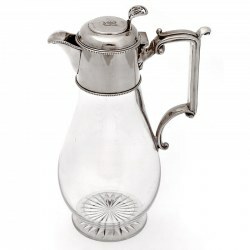 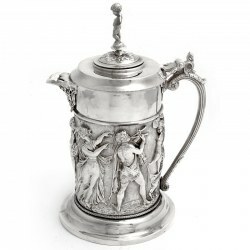 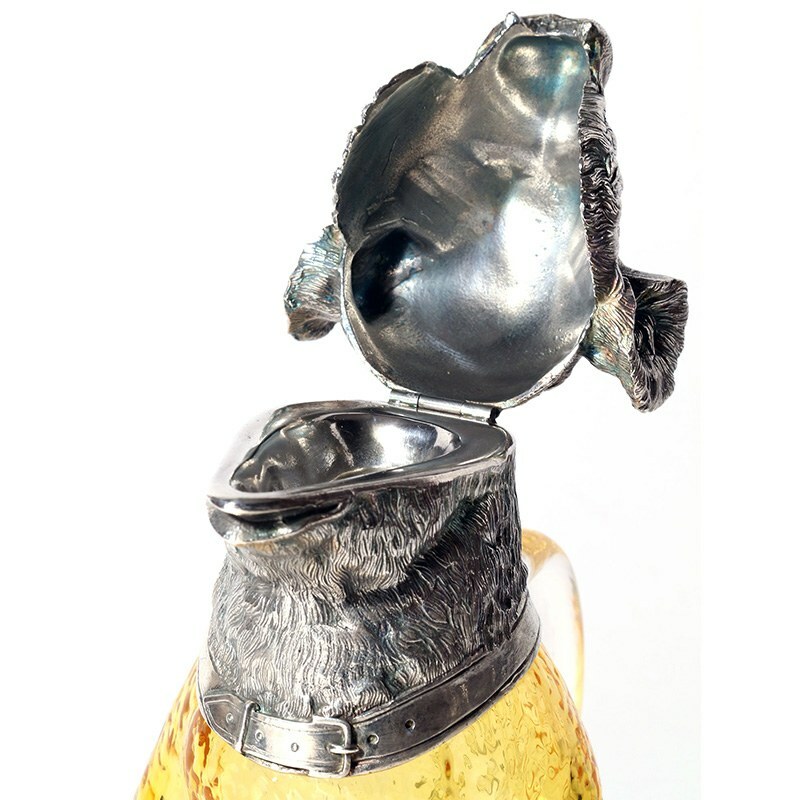 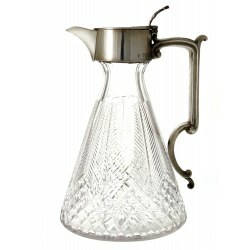 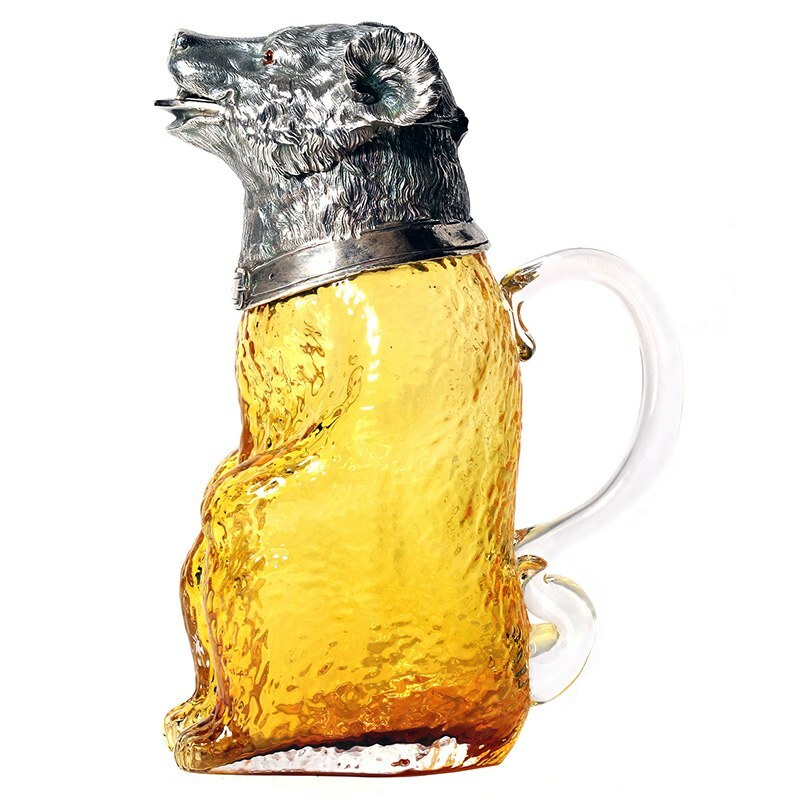 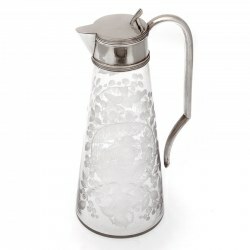 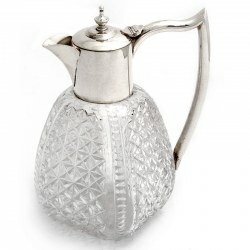 Victorian style silver plated claret jug in the form of a sitting bear. 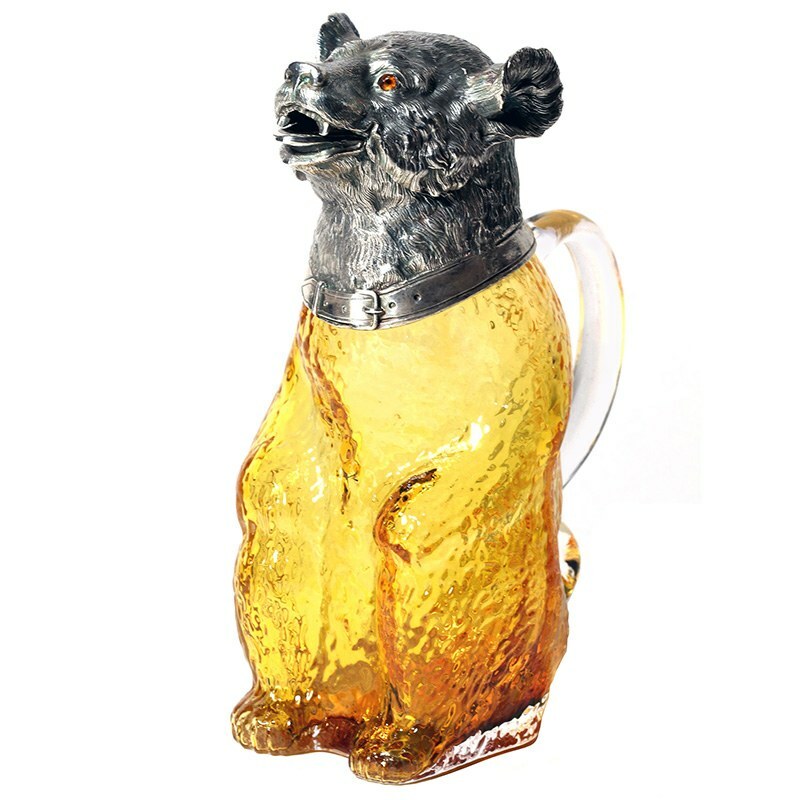 Great looking Victorian style claret jug in the form of a sitting bear. 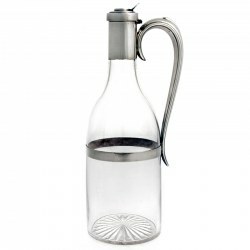 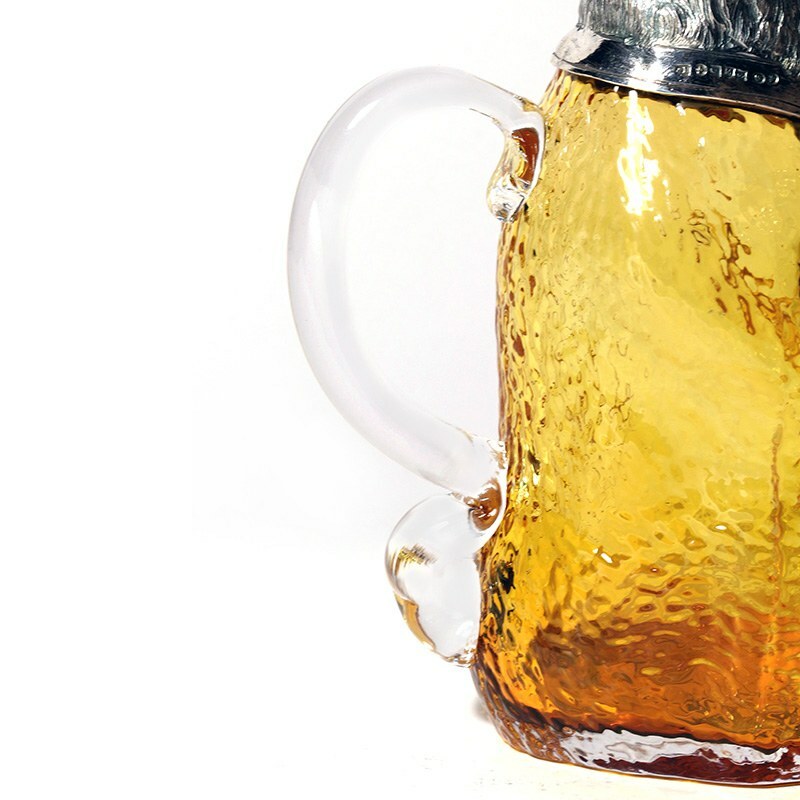 The body amber glass has an applied clear glass handle. 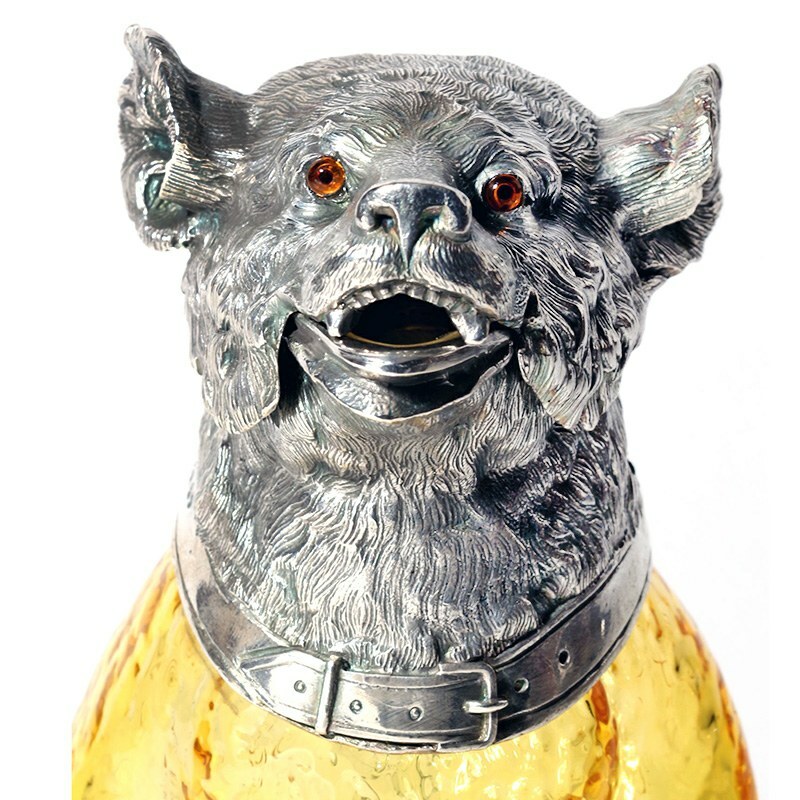 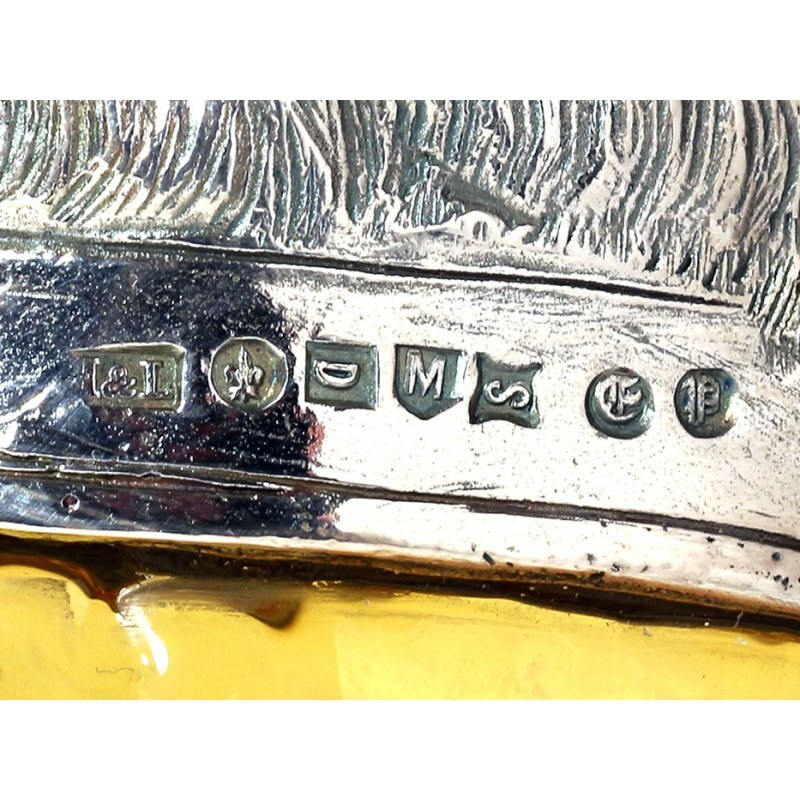 The mount is silver plated with clear detail and brown glass eyes. 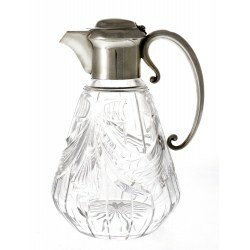 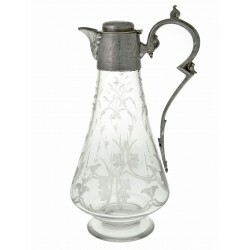 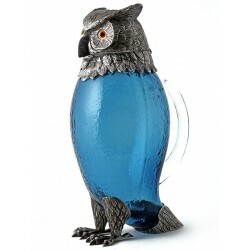 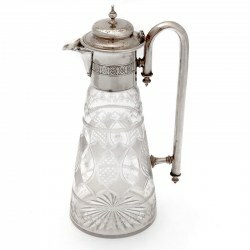 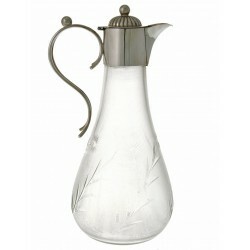 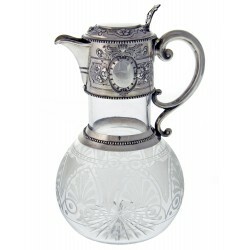 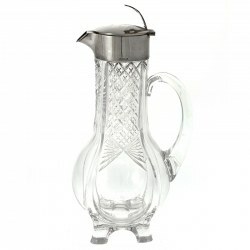 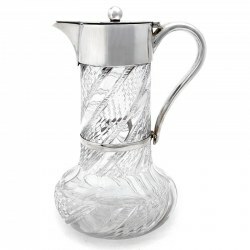 Stunning reproduction silver plate and glass claret jug in the shape of an owl.